Over the holidays, I received a gift from a friend that will be very useful to the show. It’s a beer-pairing cookbook from Anheuser Busch titled “Great Food, Great Beer”. You all know how I feel about Anheuser Busch, so I won’t comment on the beer part, but the recipes are fantastic. 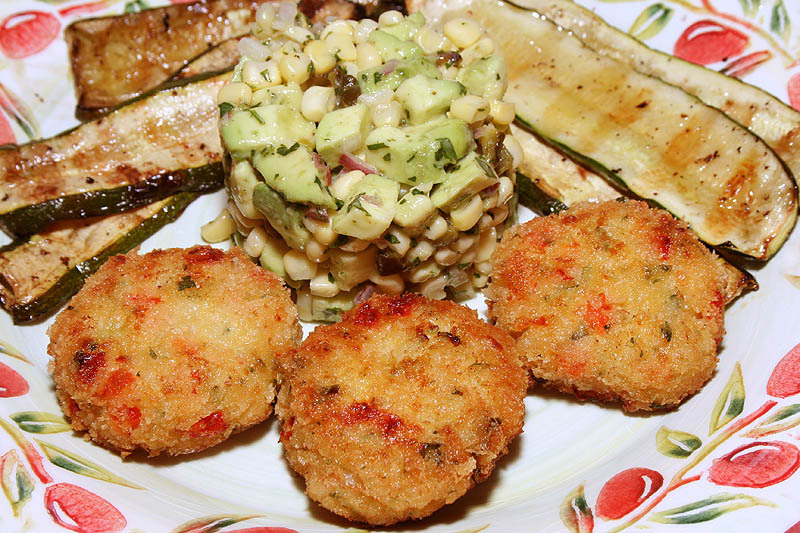 So this week we’re preparing their Shrimp Cakes with Corn Relish, and pairing it with a beer far more worthy than Bud Light – Saison D’epeature from Brasserie De Blaugies in Dour, Belgium. It’s a Farmhouse Saison brewed by a husband-and-wife team who are schoolteachers, and in their part time brew beer in their garage and sell it throughout Belgium. • One of Italy’s best known exports, mozzarella, is under threat from an infection spreading through herds of water buffalo. • Interesting information about Mad Cow Disease, and how it was eradicated in UK and Japan in less than 2 years. • Oahu’s last dairy will be closing on February 15th, causing all the island’s residents to rely on imported milk. 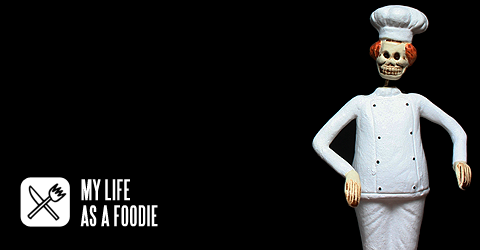 This week, we’re pairing Duvel Golden Ale with Thomas Keller’s potato blinis, topped with crème fraîche and caviar. Oh yeah, we’re starting the new year off with a bang. 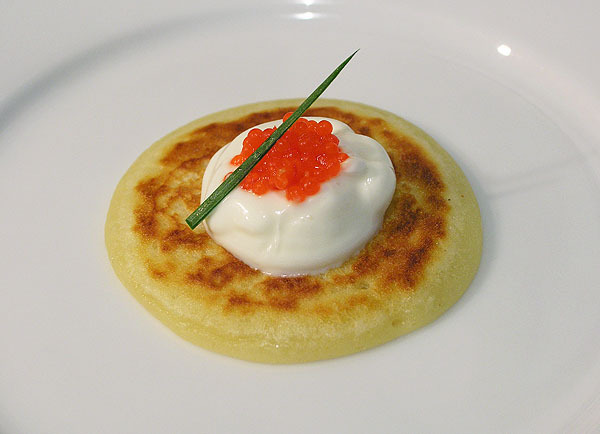 Download Episode 10 here, and get Thomas Keller’s Potato Blini recipe here. If you like the music in this episode, download “Space Dock” by Chris Zippel in the iTunes Store.